Information to help Rehome your pet if rescue are not available. As long as there are "buying consumers", puppy mills (commercial breeders) will continue to exist. It is a 50/50 problem. So many are simply not aware of the suffering, inbreeding and ugliness of this industry for which there is NOTHING positive. This is a fantastic educational link, that covers the many aspects of puppy mills. Please spread the word so we everyone will know never to support this misery. Our mission is to create a safer, more humane community dedicated to the well-being of people and animals through compassion, education and legislation. Our vision is to create definitively integrated programs that will offer youth from ages 5-18 years flexible and non-threatening alternatives to at-risk behaviors by stepping outside themselves through proven Animal Assisted Therapies (AAT) and Activities (AAA). Given the opportunity for at-risk youth to enter into interactions with dogs when they are at a personal crossroads has been proven to spark profound individual motivation that changes the trajectory of their lives. 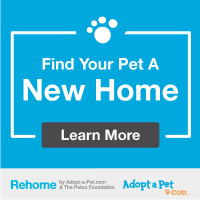 The No More Homeless Pets® Network, a program of Best Friends Animal Society, is a network of rescue groups and shelters that save lives in their communities. The program is free and offers fundraising opportunities and adoption events, discounts and scholarships to educational conferences, consultations with Best Friends staff and grants to select organizations that make a significant and measurable impact in their communities. To qualify, organizations must operate spay/neuter and/or adoption programs and either be a 501(c)(3) or a municipal shelter that has a dedicated fund specific to the care of animals.